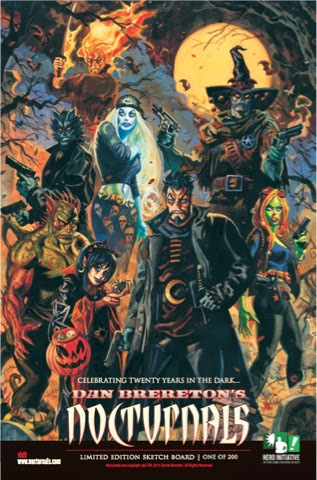 Long Beach, CA (June 30, 2014) – Long Beach Comic Con and the Hero Initiative will host Eisner-nominated creator Dan Brereton to celebrate the 20th anniversary of Nocturnals, September 27 and 28 at the Long Beach Convention Center. Debuted in 1994, Nocturnals offered a brand new take on the growing noir comics genre, with Evening, AKA Halloween Girl, a young girl growing up in a spooky-noir world, populated by a colorful group of night creatures steeped in crime and the supernatural, spawning a hybrid genre. “Back in '94, I was sure (male) comics readers were going to hate Evening. An 8-year-old girl hero was the antithesis of trendy in comics at the time—namely buxom gals carrying huge guns, and big guys with even bigger guns. The readers happily proved me wrong,” said Brereton. 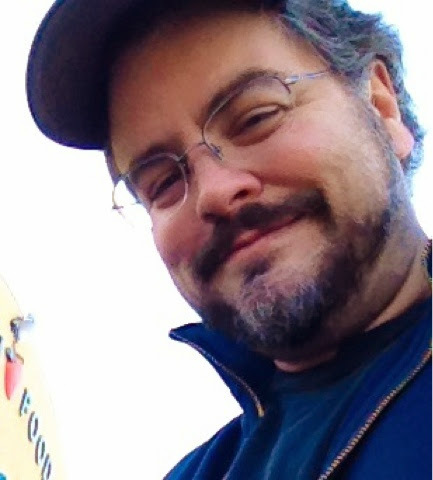 Brereton will host a panel celebrating the 20th anniversary of Nocturnals at Long Beach Comic Con. Brereton chose to celebrate the Nocturnals’ anniversary at Long Beach Comic Con because of the kinship he feels with the show. There will be a limited number of Dan Brereton’s Nocturnals Hero Initiative tickets available on the Long Beach Comic Con website. Tickets offer a chance for fans to pick the Nocturnals sketch they would like Dan to draw. “We are very excited to partner with Dan and the Hero Initiative to celebrate this ground-breaking series,” said Phil Lawrence, co-founder and sales director of Long Beach Comic Con. The tales featured in the Nocturnals books are unique for having a dark edge tempered with a colorful cast fans can warm to. “It was always meant to be gritty but fun. All ages. I wanted to make a contemporary comic book harkening back to the pulp era of Dashiell Hammett and HP Lovecraft, with a Bradbury Halloween flavor. This was an untested concept at the time, which seems strange to say now. Nocturnals never gets old for me. I want to tell their story for the next two decades." This year, NOCTURNALS: LEGENDS will be released in the Fall, a hardcover volume written in the character's voices, packed with artwork compiled from 20 years worth of pin- ups, covers, character portraits and more- much of it has never seen in print before now. LEGENDS will kick off a new series of Nocturnals adventures from Brereton. “I'm going back to their world in my mind and in my studio all the time—I can visit them any time I like. But the readers and fans of Nocturnals are asking for more stories, and I really want to deliver." Enjoy an exciting weekend full of exceptional guests and exhibitors, and engaging panels, at Long Beach Comic Con, Saturday, September 27 from 10:00 am - 6:00 pmand Sunday, September 28 from 10:00 am - 5:00 pm at the Long Beach Convention Center. Tickets are available now through the website: www.longbeachcomiccon.com. Follow Long Beach Comic Con on Facebook and Twitter for the latest news and information. Celebrating its sixth year, Long Beach Comic Con offers fun for everyone with panels, artist alley, kids programming and more Saturday, September 27 andSunday, September 28, 2014. Long Beach Comic Con is a true comic convention, focused on creating a unique experience that both fans and exhibitors in the Long Beach, Anaheim, and Los Angeles areas will enjoy. To learn more and purchase tickets, please visitwww.longbeachcomiccon.com.